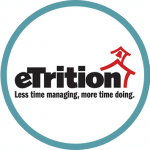 Harris School Nutrition Solutions is pleased to announce that Grossmont Union High School District, in San Diego, California will upgrade to eTrition SaaS, our cloud-based solution. The district is excited about managing its data in the cloud with a SaaS solution and anticipates improving overall efficiency by accessing its data from any web-enabled device. Maintenance, updates and backups of the program are performed remotely by Harris, which ultimately gives the district more time to focus on serving children, instead of using their resources to maintain software. Grossmont Union HSD will rely on eTrition to serve their 17 schools with 85 serving lines. Jim Atkins Receives The ‘We Are Harris’ Award!